eRAD PACS is a flexible, standards-compliant, web-based, workflow management solution designed for centralized and distributed imaging environments. eRAD PACS is a flexible, standards-compliant, web-based, workflow management solution designed for centralized and distributed imaging environments. 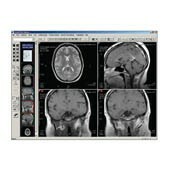 Consolidate all radiology exam information including images and reports from multiple systems into a centrally managed work list, accessible using off-the-shelf browser technology. eRAD PACS provides complete PACS functionality, including data acquisition, long-term storage, high availability, disaster recovery and advanced diagnotics viewing.